Perfect for baking individual custards and souffles or serving condiments and spreads. 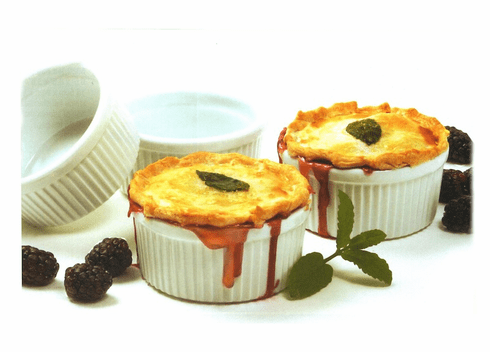 Measures, 4"/10cm diameter Capacity, 1 cup/8oz/240ml Glazed porcelain ramekins are oven, microwave and dishwasher safe. Price per item.